Thermopile type generators sound like the closest feasible thing to free energy available to us, potentially only limited to the local ambient temperature as it approaches absolute zero. The main problem is that the energy per cost of the thermocouple effect is so miniscule that it has so far only been used as a measuring device, being amplified with a secondary supply of energy to even be read, almost every digital thermometer and thermostat has one in it. Theoretically using a thermocouple as a bulk power supply could be done, but it would require both a prohibitively expensive amount of thermocouple material and massive well calculated heat-sinks to provide a constant supply of heat from the ambient temperature. Some one could do it just to prove a point but it would not pay for even the land taxes required for an installation this size, even if it provided enough hydro to power its own lighting. Sorry to burst any bubbles, but there are more tangible energy priorities, such as tidal, that can be achieved with technology and technique available now. I think your analysis is correct. But I wasn't clear about what I was thinking. I am wondering about small vehicles. The idea would be to use a boiler or just a firebox to put heat into a space with a thermopile surrounding it. On the outside of the thermopile would be fins and ducting so the air flowing past the vehicle could cool the other side of the junctions. I am thinking of such a power-plant to augment a battery for a super-light commuter type vehicle. As for my bubbles, I am used to them bursting! I haven't had any experience with them, but NASA has! The maximum power output is low, but it's constant, so it would recharge a battery pack quite well. Goodness, it would be the coolest thing! Sadly it works best in deep space where the ambient temperature is only a few Kelvin. I think it would work on earth if not quite as well. the real trick would be getting hold of the plutonium needed. you could use a less radioactive material, but then you would also have less power. The idea would be to use a boiler or just a firebox to put heat into a space with a thermopile surrounding it. On the outside of the thermopile would be fins and ducting so the air flowing past the vehicle could cool the other side of the junctions. I am thinking of such a power-plant to augment a battery for a super-light commuter type vehicle. I don’t know exact numbers associated with this effect, just general tendencies. It might work as an auxiliary power supply, if the correct numbers can be achieved for the situation. If it works with a certain degree of efficiency cooling fins should not be needed, as the heat energy would be transferred into electrical energy and lead off to the load. I however, suspect that it would still be insufficient for the purpose, given constraints of weight and size. I forget what exact metallic property causes the thermocouple effect, but there is an effect when ANY two dissimilar metals contact each other, in any temperature. This effect continues in a circuit if one is available. 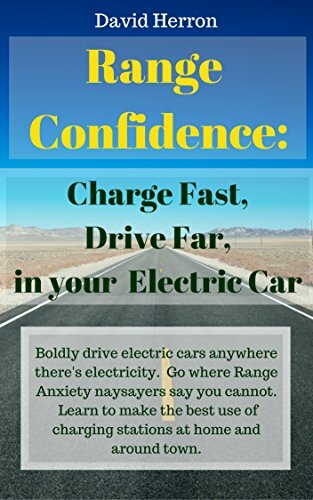 If not, it acts similar to a battery’s terminals, a nominal standing voltage builds up and stops according to a number of factors. I like strawhistle’s thermocouple around the lamp’s chimney. The detractor of low electrical output for heat input is not a problem as crystal radios (as I understand it) are almost a non-issue to power, I seem to remember that they are even partially powered by the radio wave itself, please tell me if I’m wrong. And the advantage of a “no moving parts“, “solid state” setup means that there is no maintenance that would be required like that of a hand-crank generator. I don’t know exact numbers associated with this effect, just general tendencies. It might work as an auxiliary power supply, if the correct numbers can be achieved for the situation. I think you're on to something. Apparently several car manufacturers are interested in using standard engine exhaust to offload the alternator. I found this presentation with a bunch of nice details include equations and pictures of the BMW design (reported as generating 600W). When you initially described a burner box, I imagined that wood might be used. Where I live, that would mean a refuel (of already dead wood) is within arm’s reach of the roadside in most cases, where a roadside exists. I am very surprised that a thermocouple arrangement worked so well as to produce 600 Watts. It appears that difference in temperature is much more important than total temperature, which would explain why heat dissipation is needed on one side, and its usefulness in space where the difference between outside and liveable environment is several hundred degrees. A car’s exhaust system does see much of the car’s waste heat, especially around the catalytic converter where partially burnt and unburnt fuel is fully burnt. A very hot spot as compared to atmospheric temperature. The other spot that would see a comparable amount of waste heat would be the radiator system. The required parameters appear to be met for large vehicle, it even looks like it belongs there among the ducting. It should be feasible in some amount for smaller vehicles. The final factor unfortunately appears to be cost, the figure for their little racer was over $15,000, and it is probably a very expensive upgrade for BMW’s car. It however does appear to be a useful “do it yourself” upgrade for someone with lots of spare time and resources to play with. 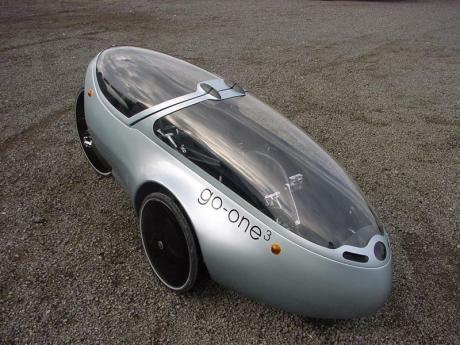 Question, is that picture of the egg on wheels (velomobile) an actual picture or a concept drawing? It looks nifty and aerodynamic. It looks like a drawing to me, particularly the way the wheel spokes are blurred. This thing, the rotovelo, is real and reasonably cheap as it's rotomoulded. That is a concept rendering (a cool one). 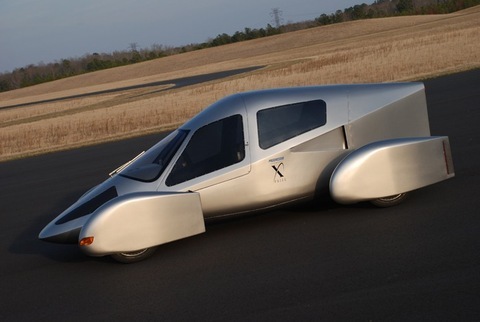 However there are lots of velomobiles in the world. 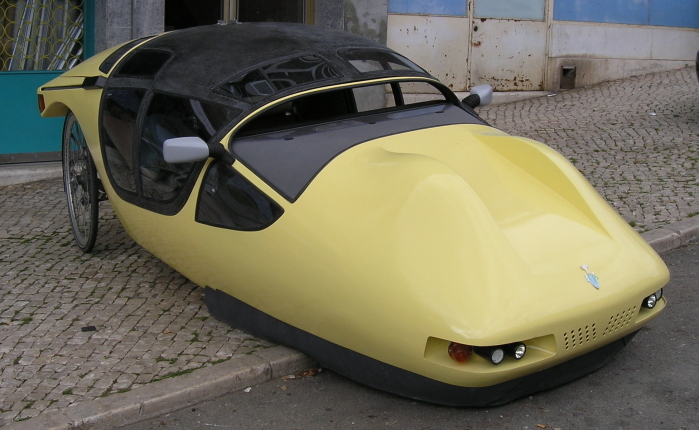 I think they are a great starting point for lightweight vehicles. I think a thermopile will never get an award for efficiency, but as secondary power it could extend the range of these vehicles.